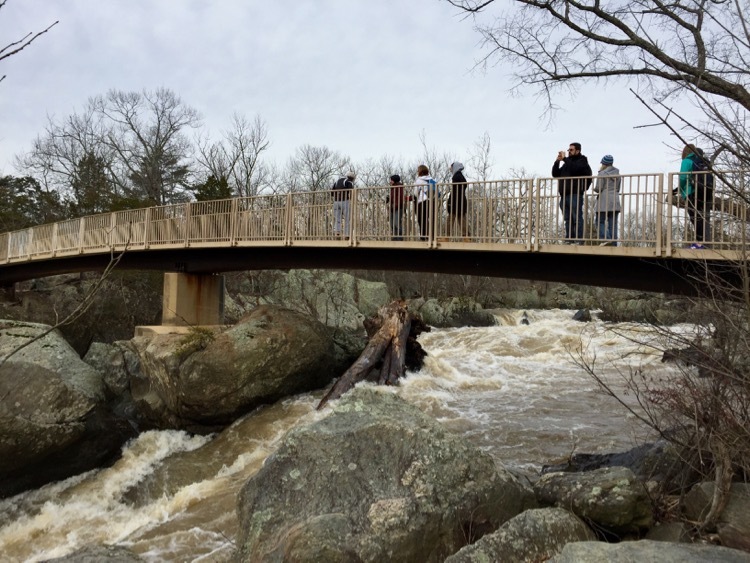 Here are 10 Great Falls Park alternatives worth visiting when park entry lines back up with crowds clamoring for scenery, picnic spots, and time with friends and family. You will not enjoy the same dramatic waterfall overlooks at these alternate destinations, but you will enjoy beautiful nature and hopefully, much less time in your car. 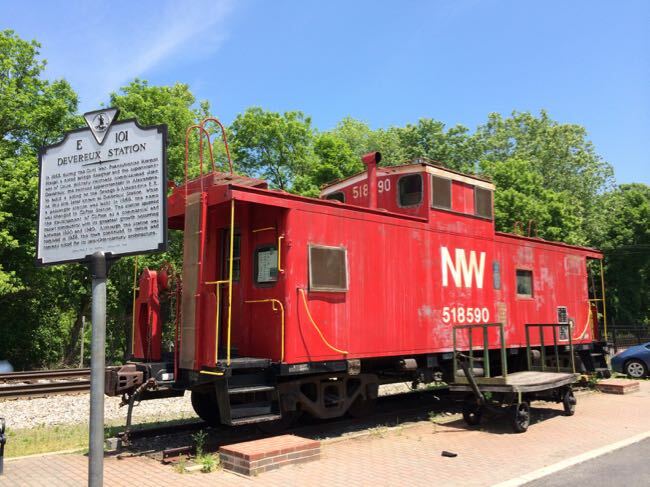 Our 10 Great Falls Park alternatives are listed in two groups—eastbound and westbound—and in order of distance from the park visitor center. 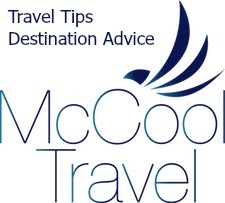 We’ve highlighted what you’ll find at each destination, and linked to more detailed information so you can analyze your options. Nothing beats a beautiful day at Great Falls, but these options beat a long wait in the car. Closest to Great Falls and with an excellent trail into the eastern end of the park. This is a bare bones, small parking lot which also fills up quickly on warm days, but you may get lucky. A great alternative if your priority is hiking. A bit further east, with more parking space in two lots and excellent woodland hiking. 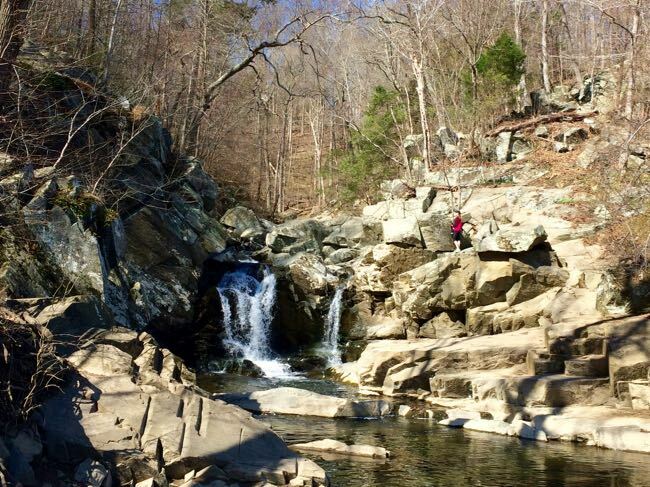 The most popular Scotts Run trail crosses streams and a steep hill to a small, but lovely waterfall emptying into the Potomac River. 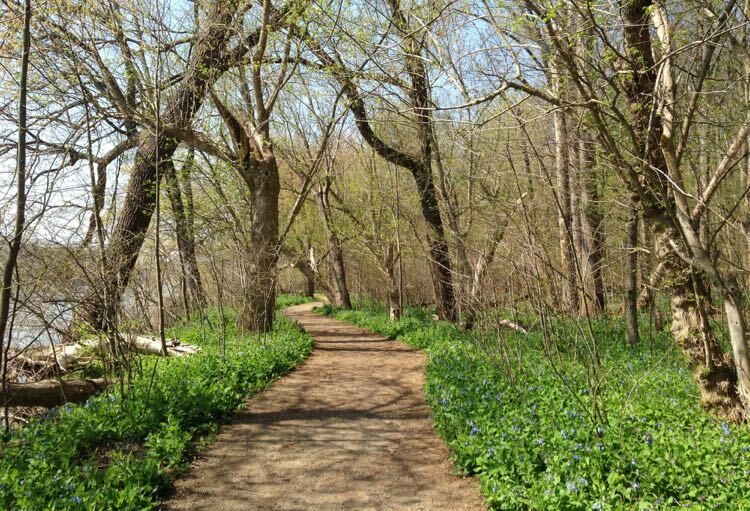 Accessed from the George Washington Memorial Parkway, Turkey Run Park is much less visited and there is plenty of parking. 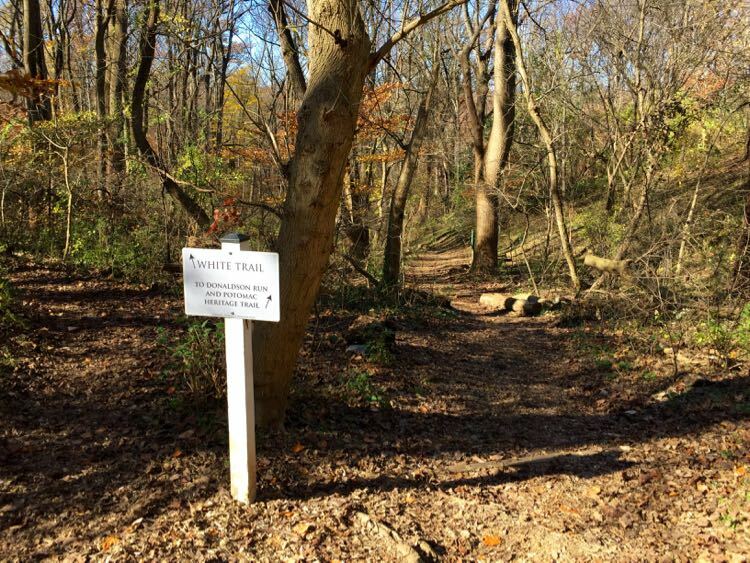 Trails lead steeply down to the river and a stretch of the Potomac Heritage Trail. 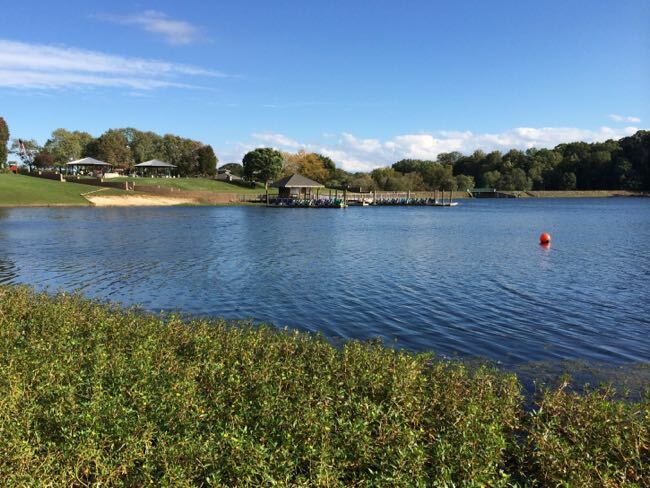 This family-friendly park has a fun nature center and displays featuring birds of prey. 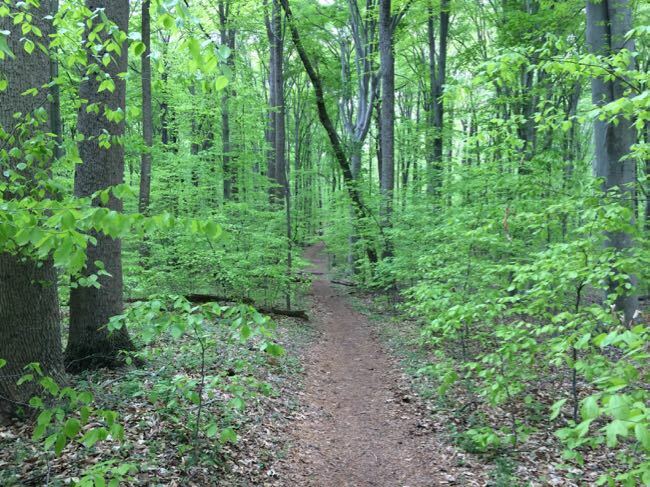 There are easy woodland trails and a steeper trail that follows Donaldson Run down to the Potomac. 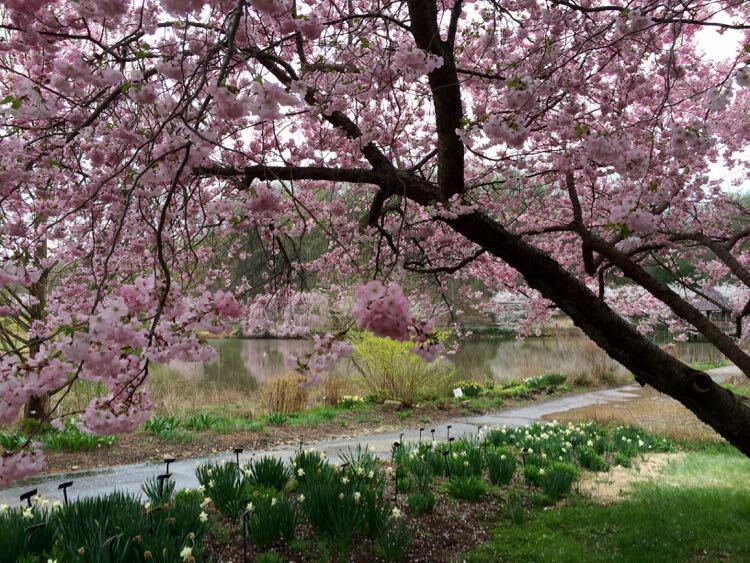 This island park is actually in Washington DC, but the parking area and access point is in Arlington Virginia. 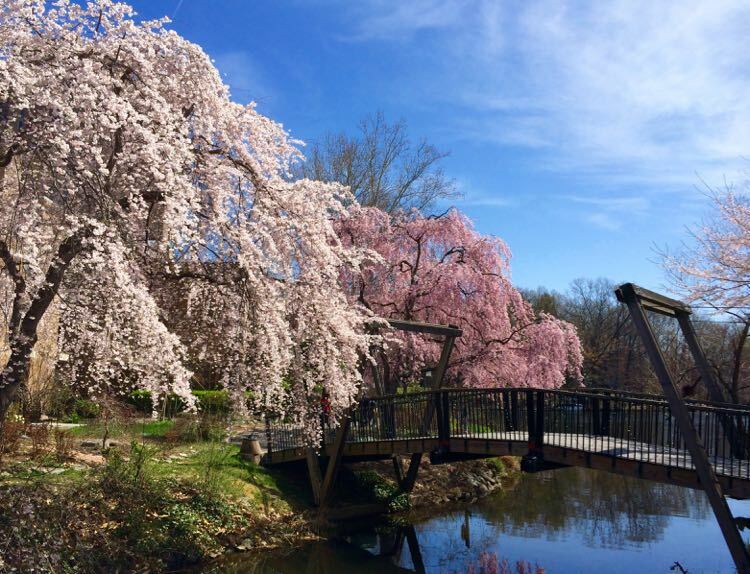 In addition to nature and Potomac River views, visitors enjoy nice hiking and a plaza with plaques and statues honoring Theodore Roosevelt. 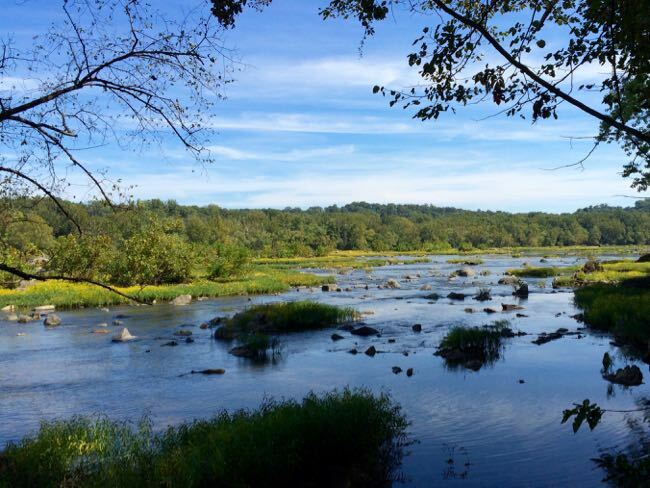 Across the river in Maryland is another national park with fantastic hiking and history. Note that nice weather also makes this Great Falls Park alternative extremely popular and the lines here can be just as bad as on the Virginia side. 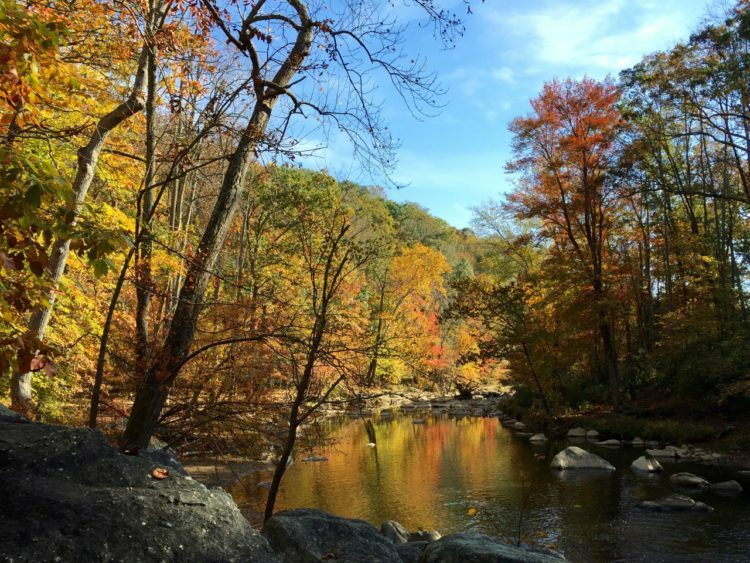 Hardy hikers will love the challenging rock scrambles and incredible views from the Billy Goat Trail. 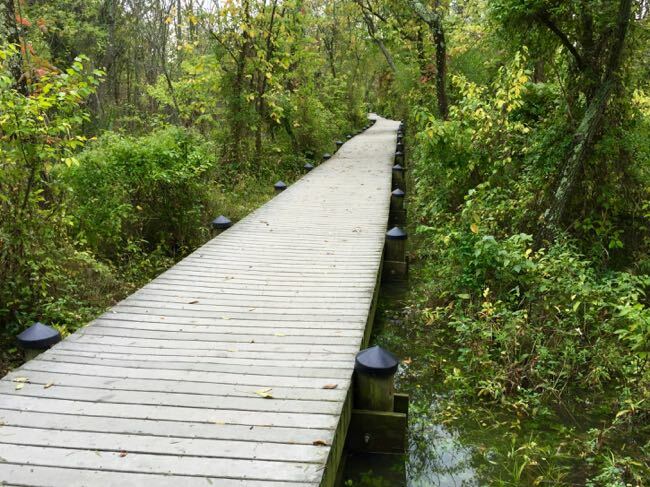 Boardwalks and paths on Olmstead Island allow easier access to excellent river and falls views. To our mind, this is the best Great Falls alternative on our list and it’s just a short drive away. 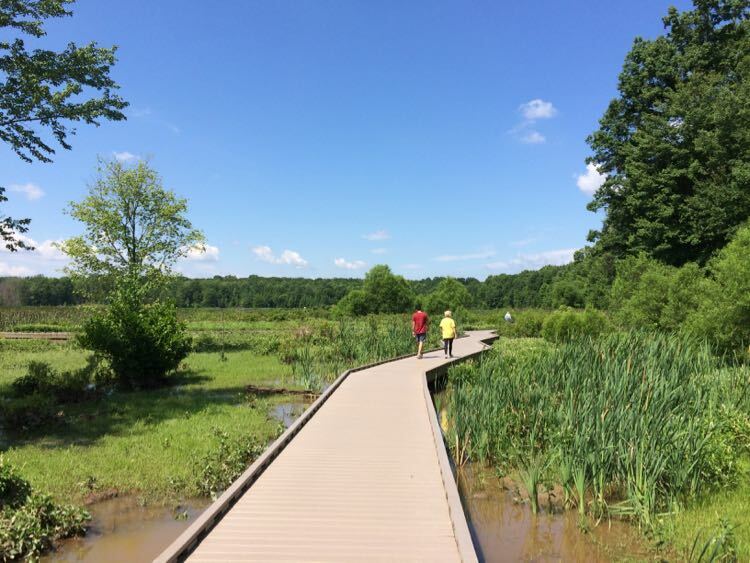 Riverbend has a nice visitor center with rest rooms, open picnic area, river access and views, and a variety of trails including a 1.5 easy walk to Great Falls Park. If the main parking area is full, try the nature center, or park near the entrance and hike in. 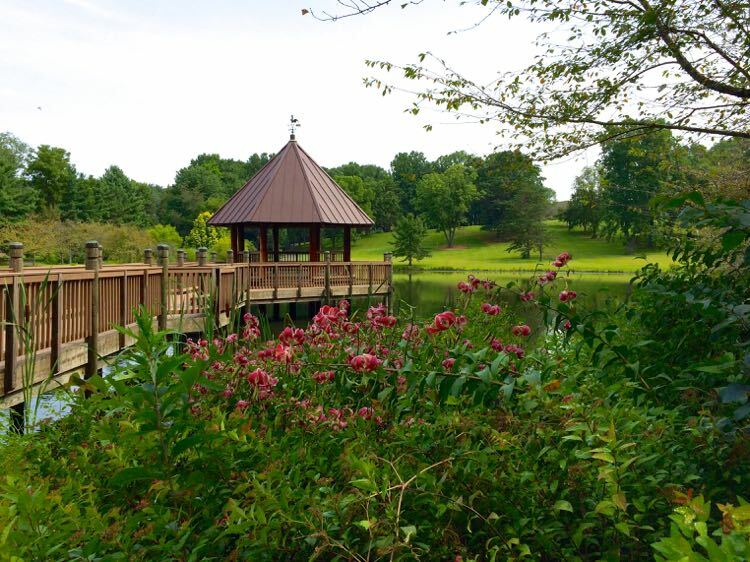 If your goal is a relaxing stroll and maybe a picnic, head to Meadowlark Garden in Vienna. You won’t be near the river, but there is a nice pond and lovely trails through the gardens. 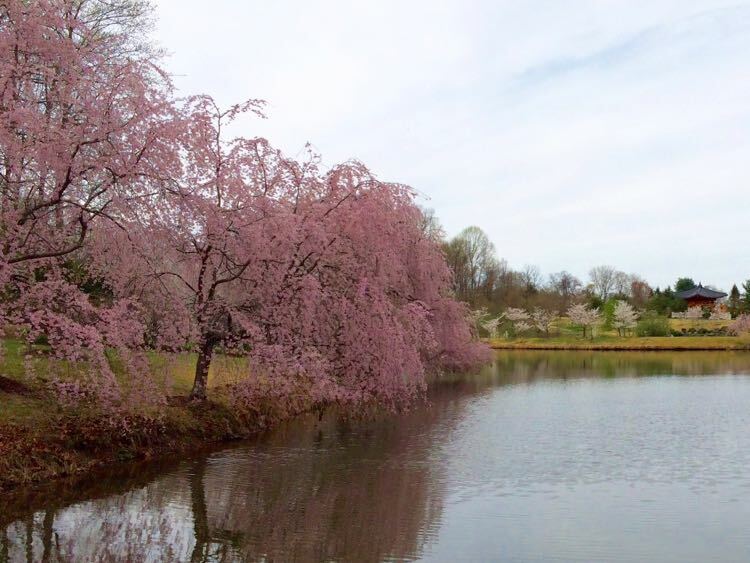 In spring, this is one of our favorite spots in Fairfax County to enjoy cherry blossoms. 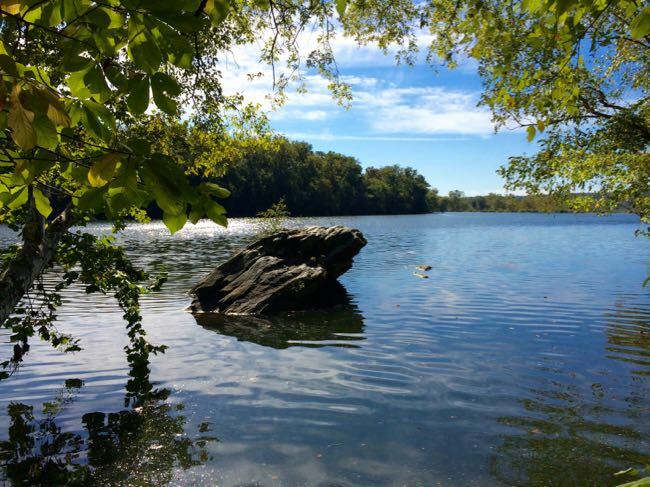 Another nice Great Falls alternative that’s away from the river, Lake Fairfax Park is a very popular spot for picnics and a stroll by the lake. In summer, the crowds can overwhelm the popular Water Mine Waterpark, but you can usually find space for a picnic or a hike. If you tried to hike at Riverbend and found it full, continue heading west to the quieter Seneca Park. 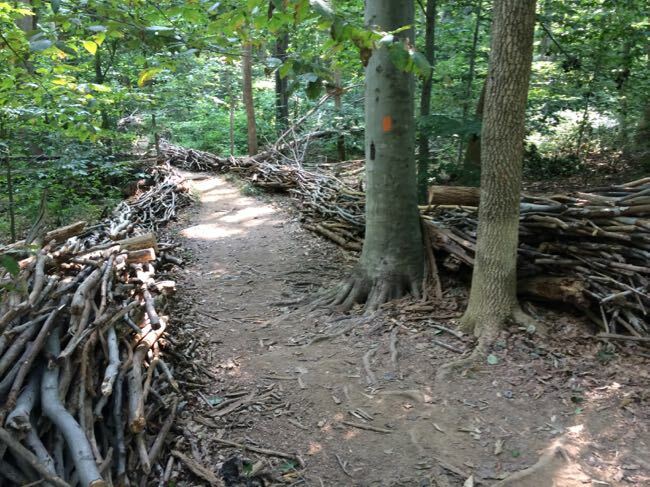 The park has nice woodland trails and a segment of the Potomac Heritage Trail and the parking area is rarely full. 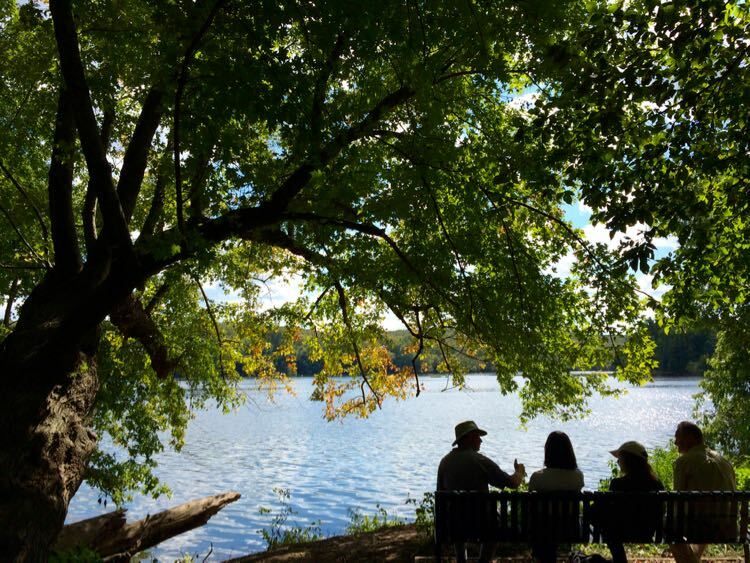 Warm weekend days mean a surge of visitors to popular local parks, and we hate to see folks wasting time idling in a car line instead of enjoying the fresh air. 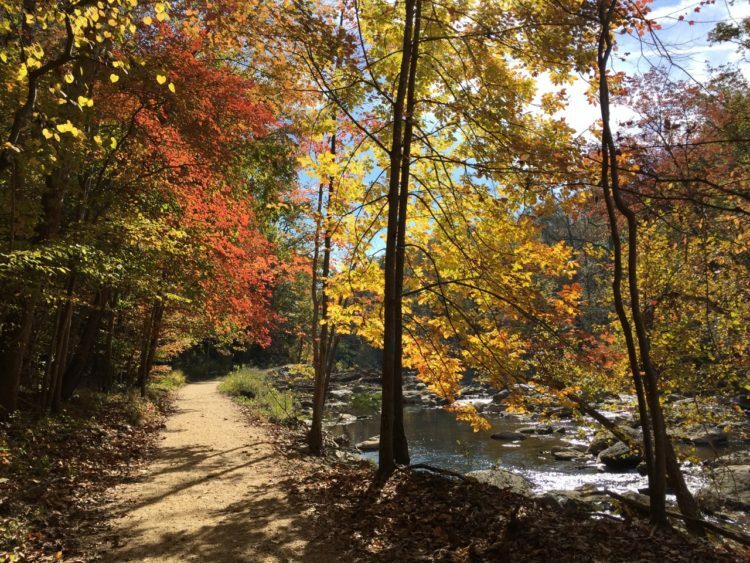 We can’t guarantee that all of these Great Falls Park alternatives will have open spots when you visit, but we’re certain at least some of them will. 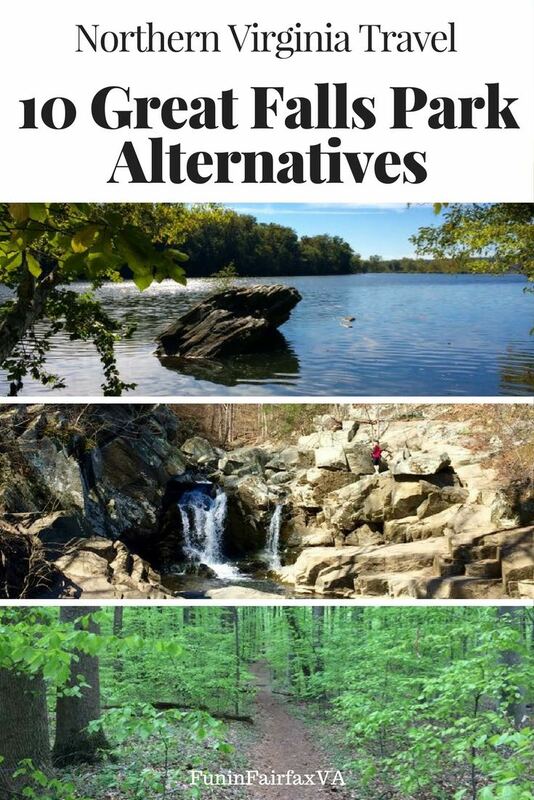 If you know other Great Falls Park alternatives that should be on our list please let us know in the comments. 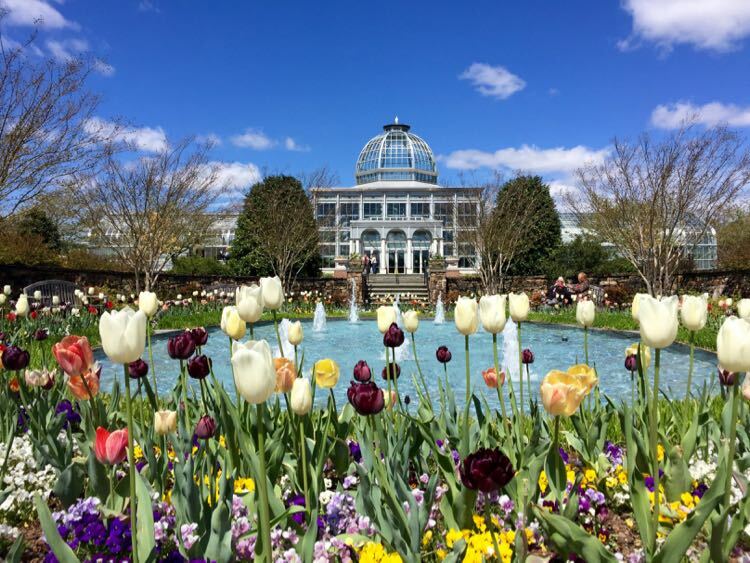 Follow us on Facebook, Twitter, Pinterest, and Instagram for more fun places to explore in Northern Virginia and surrounding areas. Thanks! This article was published in 2017 and updated in 2018.